The westbound lanes shifted in mid-February, completing the move. There should now be no reason — other than slow database updates — for any online maps to show the old I-40 location. Two months after the relocation process began, let’s check in on the progress. 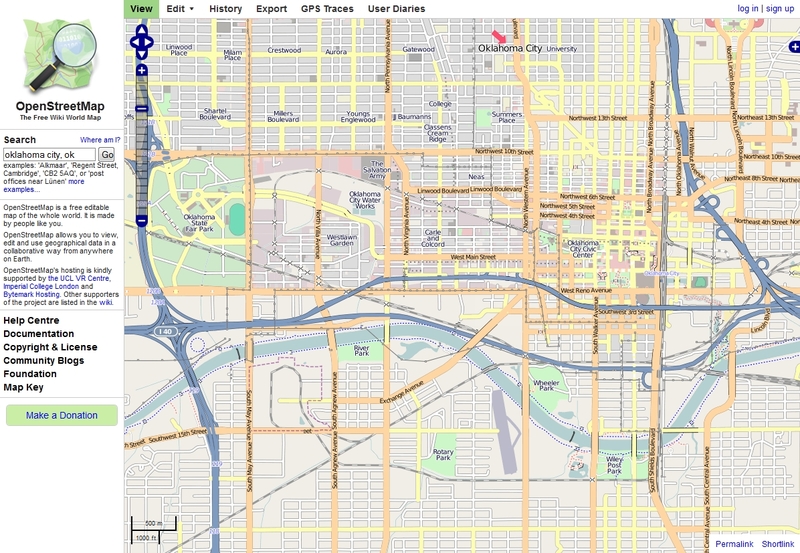 I picked OSM as the first to update because its open nature allows for faster database edits. OSM isn’t a slave to Navteq, TeleAtlas, or any other middleman. The theory was that it would take someone just a day to drive the new I-40 with GPS tracking enabled and then upload the new route to the server. Done. The actual results? Not so much. The new I-40 is there, but so is the old crumbling crosstown. Not quite an ideal result, but at least the relocation is noted. Anyone care to enter these directions into your iPhone or Android? I honestly don’t know why I picked Google Maps as the last to update. In hindsight, that was a dumb pick. 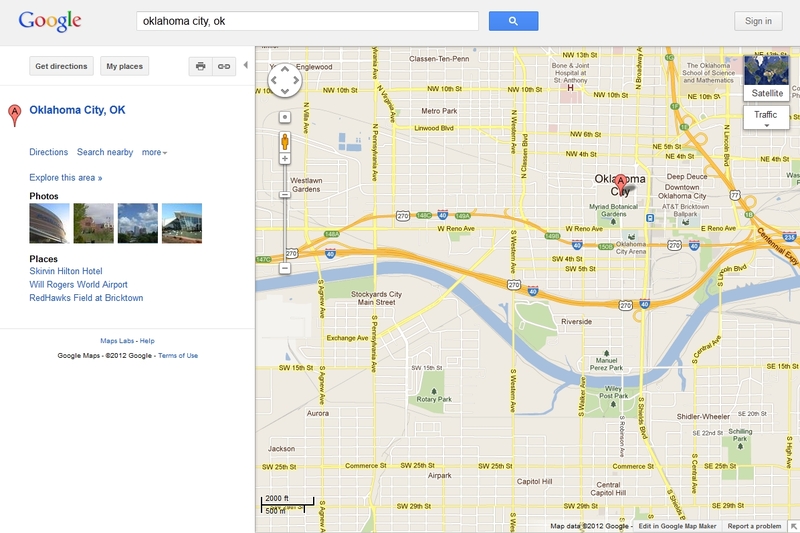 At the time I was unaware of the Map Maker functionality built into Google. Again, we get the old route appearing live at the same time as the relocated route. This make me curious as to how this would operate when plugged into mobile directions from an iPhone or Android phone. Which route will your phone tell you to go? 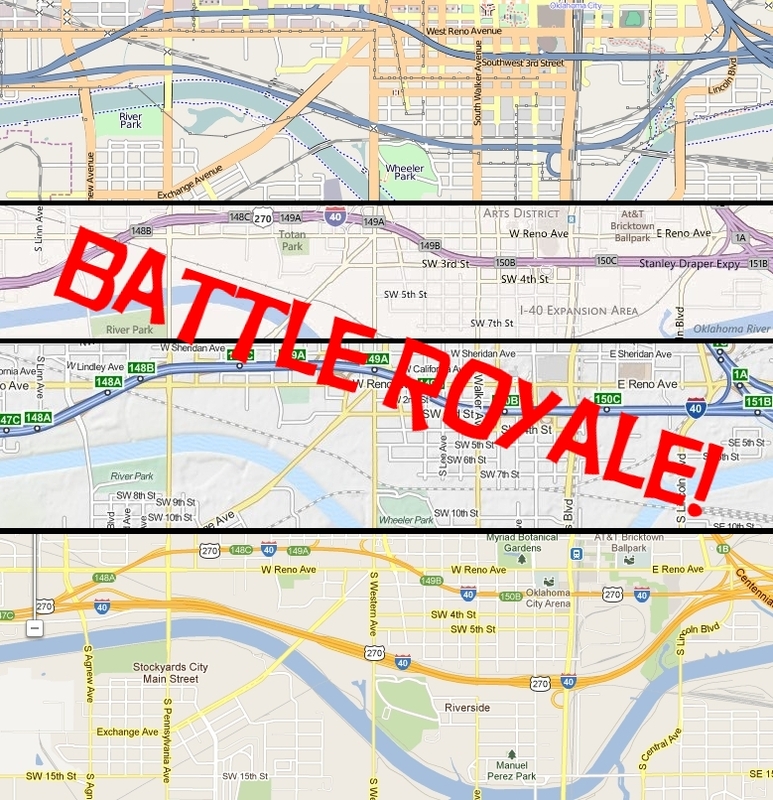 A peculiar thing about the Map Maker functionality is that if you select to edit the map, the old I-40 completely disappears. It’s as if Google doesn’t want too many edit requests for something they know has changed, yet they don’t want to change the product that everyone sees by default. Oh, to be a fly on the wall of the meetings where this dichotomy was discussed. "Tell me about the old days, grandpa!" 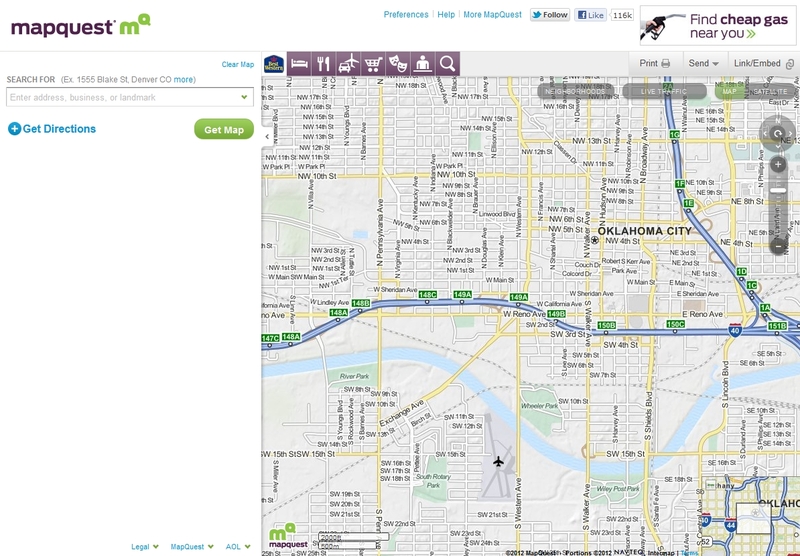 The weird thing about Mapquest is that their open source data is more accurate than their commercial product. Ba-whaa? Again, we have dual routes but at least the new location is there in some form. 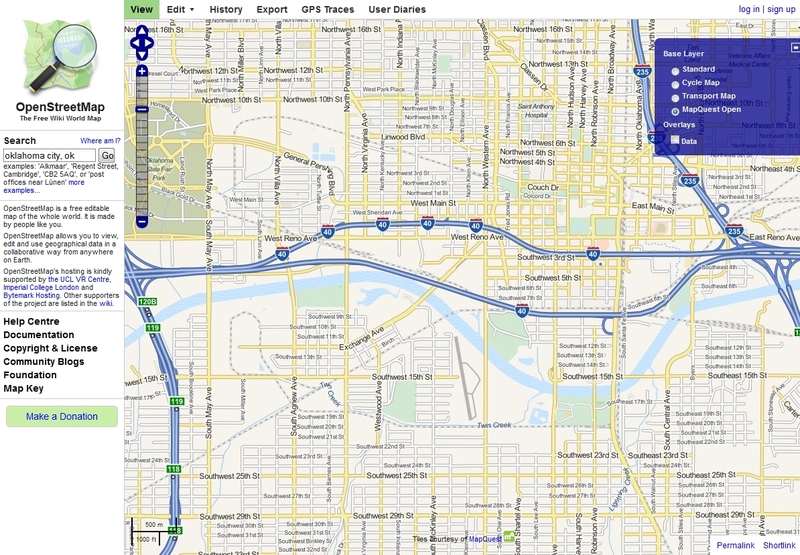 Hopefully there’s just a tiny line of code or a switch to hit to push the open source data to the main Mapquest site. That needs to happen two weeks ago, by the way. Perhaps this is why Mapquest has lost a ton of ground in the past decade. I almost forgot about Bing in my original roundup. Then, I almost made them my pick to be the first to update. When I loaded the map in January, the first thing I saw was “I-40 Expansion Area.” That clearly means they are on top of it and would be the first to switch, right? Wrong. Boy, am I glad I didn’t pick them first. There is nothing to indicate that the route has changed, much less that the expansion is ongoing. For all I know, that expansion could have been planned since Bing’s inception and they could have placed a vague label on the map to show that someday, somewhere, I-40 will expand. Since they’re not open in any way, I have no idea if and/or when an update is coming. Windows phone users, beware. For those of your keeping track at home, I was half-right in my picks. OSM does seem to have a tie for the lead in being the first to update. They just need to get rid of that pesky old route. Google Maps updated much quicker than I anticipated, due mostly to the OSM-like community edits via Map Maker. Mapquest is apparently getting there. They just need to sync their community data with their commercial data. 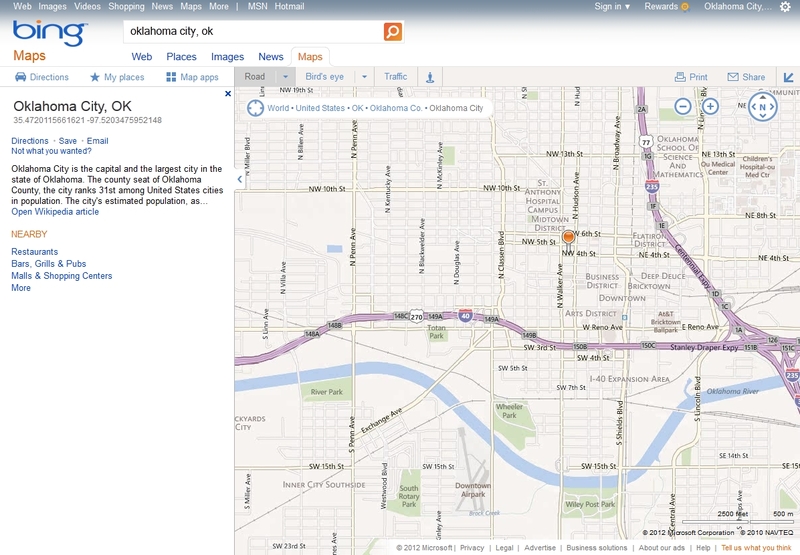 And as for Bing Maps, who knows when they’ll get around to it. Someday. Maybe.